City administrator Erickson Alcovendaz said local and foreign groups have started asking how they can contribute to the cleanup. 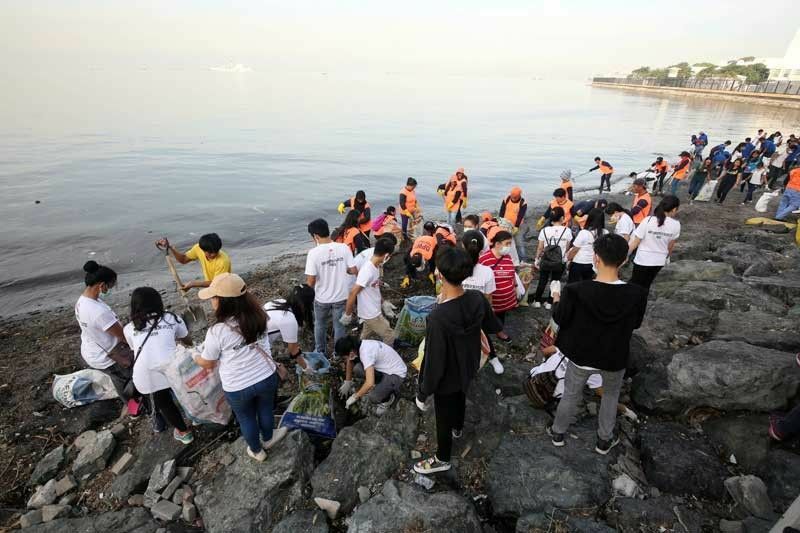 MANILA, Philippines — The city government of Manila clarified yesterday reports circulating on social media that it is asking volunteer groups to secure and pay for a permit before they can help clean up Manila Bay. “We are not asking for any fee. What we are trying to do here is for these interested groups to coordinate with the city hall so that we can arrange the schedule. We cannot just allow groups to go there because it would attract so many people. What we ask is for them to secure a permit for their activities,” Alcovendaz said. He also warned the public not to swim in the bay because the water is still contaminated. Bambi Purisima, media information officer, said reports on social media “are fake stories geared to besmirch” President Duterte’s Manila Bay rehabilitation program, launched on Jan. 27. Lawyer Trixie Cruz-Angeles asked in a Facebook post if the reports are true. The post garnered 322 shares and more than 300 comments, many of them derogatory. Purisima said the rumors were made up by people who want to muddle the issue, but stopped short of blaming groups who were against the bay’s rehabilitation.